High internet penetration and growing preference for online shopping has led e-commerce industry in India grow at a rapid space in the last few years. Hundreds of million dollars have been invested by the venture capital funds in this sector. There was a time when online shoppers used to only buy books or electronic goods from e-commerce sites. But now, people are buying everything online – from clothes, accessories and shoes to big-ticket items like furniture, homes, automobiles, etc. If we focus only on the online fashion retail market, then the industry is poised to touch $35 billion in size by 2020. According to the Google India report, fashion retail on e-commerce portals is expected to constitute 35 per cent of the total online retail revenue generated in India by 2020. It adds further that every third shopping search (from the country) on the world’s largest search engine is fashion related and the queries in the category are growing at 66 per cent year-on-year. Start-ups like Myntra, Jabong, Flipkart, Snapdeal, Limeroad and others are the main reason behind this drastic growth. Recently, online fashion discovery platform Roposo entered into this space. It has positioned itself as a fashion focused social media platform which differentiates it with other e-commerce fashion portal. Brainchild of IIT Delhi alumnus – Mayank Bhangadia, Avinash Saxena (ex CTO of Zomato.com) and Kaushal Shubhank – Roposo is owned by Relevant E-solutions Private limited headquartered in Gurgaon. 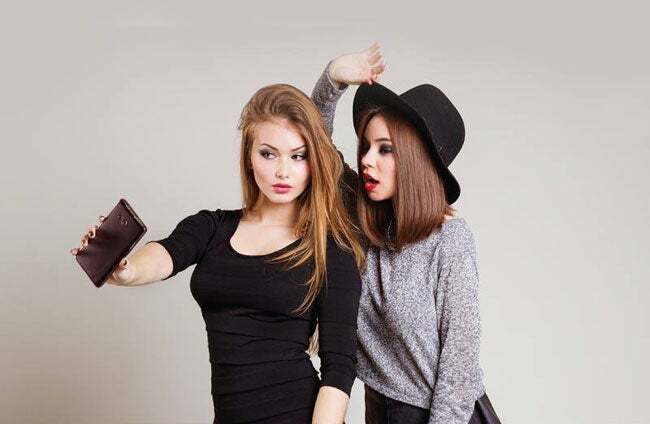 It’s a unique fashion focused social-network that allows women to discover and shop new products. It offers fashion choices from across 300 web stores and 5,000 brands with categories ranging from apparel, footwear, accessories, designer collection, kurtis, wedding wear, maternity wear and lingerie to name few. All of these products are curated and recommended to each user as per their individual taste. “We started Roposo after realising that to search for fashion products women browse through a number of websites and then also do not find the product as specific as their needs. Being from IT background and after the success of our first e-commerce venture, Giveter.com, it was only natural to commence Roposo. It took us 3 months to ideate and launch Roposo,” says Mayank Bhangadia, Co-founder, Roposo. Within a few months after raising $5 million in its Series A round of funding from Tiger Global, Roposo raised another round of funding of over $15 million from its existing investor. The fashion discovery start-up plans to invest these funds in building a stronger team of global standards, reinforcement of the technological infrastructure, enhancing and revamping the product. “Our primary investor, Tiger Global, is investing in Roposo for the second time. Evidently, our progress and business model convinced investors,” opines Bhangadia. With more than 1 million active users, the venture earns through the companies that make a sale through Roposo. Currently, the focus is more at increasing the user base on the platform than the revenue. “Presently, we have more than 1 million active users and it is growing at the rate of 100 per cent every passing month and we plan to increase it manifolds in one year. For the next three years, our aim is to be in the smartphone of every fashionista in India,” informs Bhangadia. He further adds, “We also plan to add more such interesting features and increase the spectrum of brands on Roposo.” Recently, the team also introduced a new feature – Photo Review to help women in making a purchase decision after it is worn and reviewed by a user on Roposo. 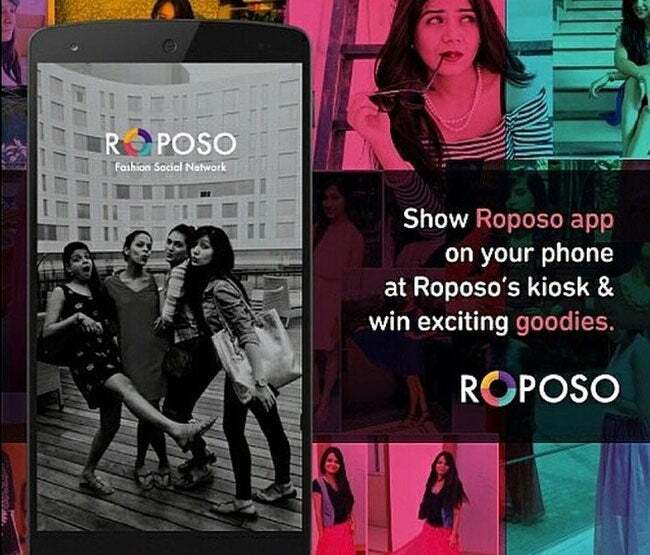 Roposo has positioned itself as a fashion focused social media platform. Similar other platform like Doozton, a fashion discovery site, was purchased by Snapdeal last year. E-commerce start-up like Voonik announced to raise $5 million from Sequoia Capital and Seedfund in June this year. Similarly, Limeroad, a social discovery platform for women, had raised a $30 million in Series C round of funding from Tiger Global and other existing investors in March 2015.